A 2017 study by Gartner suggested more than half of new business processes and systems will incorporate some element of the IoT by 2020. This finding seems to be on-target as use cases build support across industries. 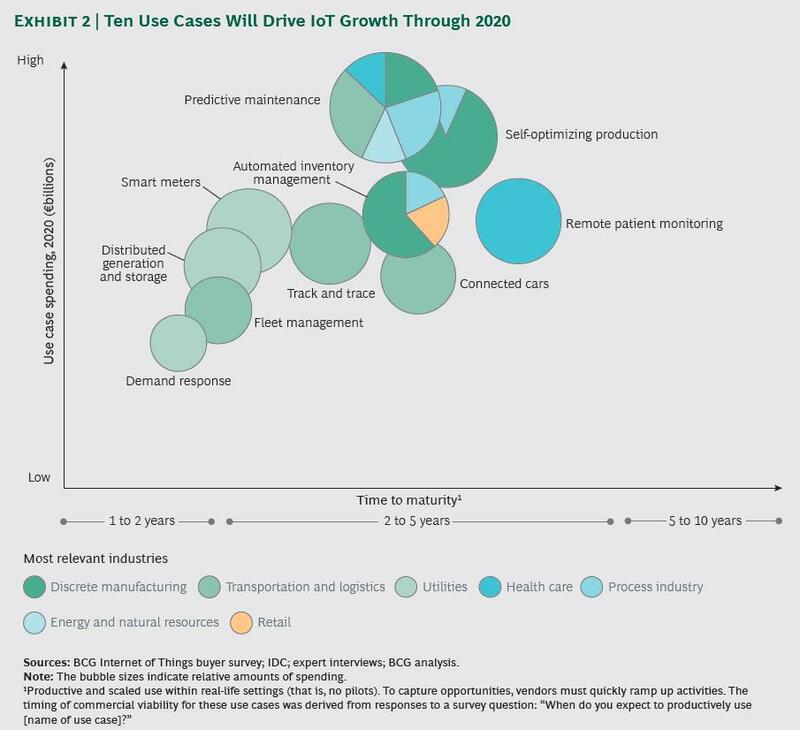 Last week, I explored the top four and bottom four use cases for the IoT across industries. I thought it was interesting to compare those findings against ones previously produced by BCG. Although the X and Y variables for the BCG study were time to maturity to estimated spending versus time to benefit and benefit strength on the Capgemini matrix, it’s still an interesting comparison. As the precursor to the Capgemini study, it’s interesting to see how well the BCG study estimated growth for each of the Capgemini top five use cases. Although the use cases weren’t perfect matches, I would ascertain the estimates were on-target with the BCG study. Read the full set of statistics including the BCG study referenced at Forbes.com. Kevin Gold is a B2B media veteran with more than 10 years of experience in the data center, hosting and internet infrastructure markets, primarily in executive marketing and communications roles. He researches, writes about and provides strategic guidance to B2B companies on trends in IoT security, endpoints and applications that drive business growth. China launches a drone disguised as a pigeon. Car dealerships are ripe for disruption by the IoT.